Jennifer Lohmann. Weekends in Carolina. Don Mills, Ontario: Harlequin, 2014. Following the death of his father, Hank, Trey Harris is left with the family farm located in Durham, North Carolina. He never expected his father to overcome his prejudices and leave the farm to Trey’s gay brother, Kelly, but Trey had hoped their father would sell the farm before he keeled over and forced this burden upon Trey. 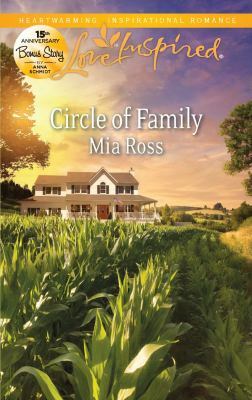 Planning to sell the farm to the highest bidder, Trey is stunned to discover that his father’s farmer, Max Backstrom, is actually a woman. Soon Trey can’t keep his mind off of what it would be like to kiss Max. How can he want to start something with this woman who can’t separate herself from the farm–the same farm that Trey did everything he could to escape from? Trey has a great job in D.C. with no reason to ever come back to North Carolina. Well, no reason until gay marriage becomes legal and Kelly gets hitched. Then again, who knows if that will ever happen. Continuing to be Max’s landlord would force Trey to visit North Carolina, and the temptation to get involved with this lovely tenant would only grow stronger. This is something Trey just can’t risk. Maxine “Max” Backstrom grew up on a big farm in Illinois, but Max has always been one for the small farm life. So, after her parents got divorced and her mom moved to Asheville, North Carolina, Max found an ad for a farmer in Durham and packed up her bags. Max had a three-year lease agreement with Hank Harris detailing that she would buy the farm after these three years were up. When Hank dies before the three years are over, the problem is that the agreement was a spoken one and Max doesn’t know if Hank ever put it down on paper. Faced with Hank’s son Trey, who has always hated the farm and just wants to get rid of it, Max is unsure if she’ll even have a farm to work next year. Max either can use all of her savings to buy the farm, or let Trey sell to a developer. If she doesn’t buy, Max will have to start the search for a new farm and lose all of her crops. If she buys the farm and then a tractor breaks down or it’s a bad crop year, Max won’t have any funds to fall back on. All of this, coupled with the fact that she’s discovering that Trey Harris is a man she could fall in love with, might be the undoing of Max’s well-laid plans. Trey Harris is a country boy who just wants to get lost in the city life. Max Backstrom is a farmer who knows taking risks can lead to losing it all. When their lives become intertwined, both recognize the passion between them waiting to be ignited. Is Max willing to take the risk on buying the farm and/or on a relationship with Trey? Will Trey be able to embrace his down-home roots? Shannon Hitchcock. 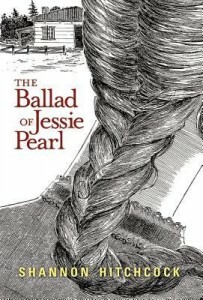 The Ballad of Jessie Pearl. South Hampton, NH: Namelos, 2012. North Carolina was a very different place ninety years ago, and no one–especially a young girl–could be certain what her future would be. Jessie Pearl, a farm girl of fourteen, was encouraged by her mother to think about life beyond the farm. Her mother promised Jessie that if Jessie studied enough to be admitted a teachers’ college, she would find the money to send Jessie. But as The Ballad of Jessie Pearl opens, Jessie’s mother has died, and Jessie and her pregnant sister Carrie are keeping house for their father and Carrie’s husband. Carrie delivers a healthy boy, but shortly after Ky’s birth, Carrie is diagnosed with tuberculosis. 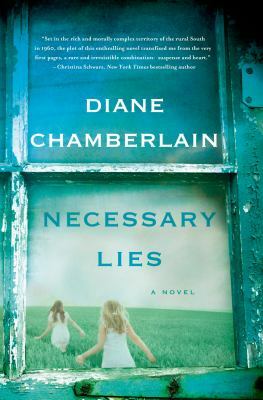 Jessie leaves school to nurse her sister through this terrible illness, and after Carrie dies, Jessie assumes the responsibility for raising little Ky. College becomes a fading dream until a sister-in-law shares her books with Jessie and tutors her. 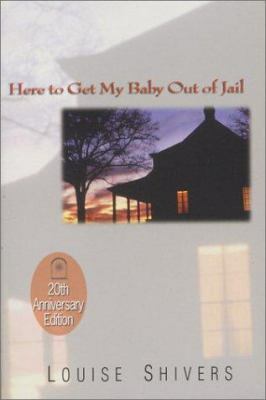 But in the two years covered by this novel, Jessie and her family experience a number of challenges–challenges that could not be successfully met without the family and community pulling together. Jessie fears a life of scrubbing, cooking, and working the tobacco fields, but she loves these people and must weigh her dreams against her love for her family and her community. 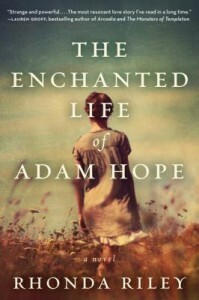 This warm, engaging novel is based on a true story from the author’s family. Cooper West. 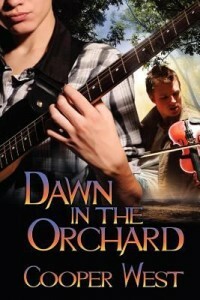 Dawn in the Orchard. Miami, FL: Dreamspinner Press, 2011. Holden, North Carolina is just about the last place Gary Winston ever wanted to be. He moved away from Insbrook, North Carolina, his own stifling hometown, as soon as possible, and college in Chicago was a convenient excuse. His great-aunt Harriet’s death has brought him back to North Carolina, begrudgingly. She named Gary as the heir to her pecan farm and ramshackle home. The housing market around Holden is poor, so Gary doesn’t stand much chance of selling the place, at least not quickly. And, at the present moment, he doesn’t have anywhere better to go. Gary’s relationship with his boyfriend Roger has fizzled out. Roger couldn’t admit his sexuality openly and he kept their relationship hidden. Roger’s insecurities rubbed off on Gary and manifested as performance anxiety. A professional musician with a performance anxiety is, Gary recognizes, more than a little oxymoronic. Obviously, Gary’s inability to play in front of an audience has stalled his musical career. Since his anxiety surfaced, Gary has become relegated strictly to some spotty studio work. Broke, he’s been testing the patience of his friends through regular couch-surfing. Thankfully, his burdensome inheritance gives him a place to rest his head at night at the very least. With the prospect of property taxes and his lack of income, Gary starts hitting pavement around Holden. But, small town that it is, there aren’t many job openings. Nobody around town wants to hire experienced barista from a big city up North. The best option left is the harvest from the pecan farm on Great-Aunt Harriet’s property. Turns out that Harriet had a contract with a local family to gather the harvest and one of the farmers looks quite familiar. Chuck Everett was born and bred in neighboring Cornerstone, another small Southern town. According to Holden’s resident lawyer, Fred George, the Everett’s have lived in Cornerstone “since before the War.” Chuck harvests Harriet Lee’s pecan crop with his father. He also operates one of the many antique shops in Hogan and plays the fiddle on the side. Gary is attracted to Chuck immediately, but he plays it cool. Chuck comes from an old-fashioned family that expects certain behavior and condemns non-traditional lifestyles, and Gary is not certain if Chuck is gay or straight. After Gary and Chuck safely discern each other’s intentions and interests, their relationship begins to blossom. Novelist Cooper West depicts their intimacy with vivid detail. Whether or not Gary and Chuck’s relationship will thrive, depends upon how well both men can compartmentalize and put aside their other problems. Judy Hogan. 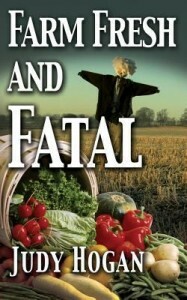 Farm Fresh and Fatal. Wethersfield, CT: Mainly Murder Press, 2013. Riverdell has a brand new farmers’ market, and Penny Weaver has jumped on board as a vendor. 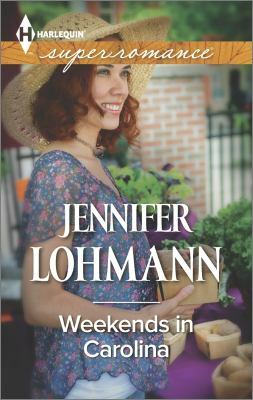 She and her neighbor Leroy Hassel are responsible for retailing the harvested crop at the market, but the actual farming is a neighborhood affair that involves several of Penny and her husband Kenneth’s friends and acquaintances. Penny, Leroy, and their crew might grow some beautiful produce and yield some lovely eggs, but they’re first-timers among all the veteran farmers with plenty to learn about market politics. Farming isn’t all sunshine and roses. Penny will be forced to get her hands soiled like the rest of the farmers, but she’ll be digging up more than dirt. Penny’s decision to shoulder a substantial role with the market causes immediate tension with Kenneth, who is not happy to learn that the market will run until Thanksgiving, which will cut into their annual six-month sojourn to Wales (Kenneth’s homeland) by two months. He’s also concerned that between her teaching and the market, Penny will overwork herself. Then there are the implications of racism. Penny learns from the market’s manager, Nora, that two of the board members voted against Sammie Hargrave joining the market on the grounds that Sammie is just a “backyard gardener” with her flower arrangements. But Penny suspects that the board members in question voted against Sammie out of uglier motivations. The career farmers are off to a rocky start themselves. Many of the farmers dislike Giles Dunn’s genetically modified fruit and vegetables. Most of the male farmers can’t stop lusting after Abbie Kidd, daughter of Sibyl Kidd, the resident baker and jelly-maker. Sibyl refuses to compromise with the other farmers and throws tantrums when she does not get the front spot at the market. And nobody likes Kent Berryman, the meddlesome and leering poultry agent. Kent lingers around the market under the excuse that Andy Style, a local agricultural agent, hired him to take photos of the vendors. Kent takes pleasure in inserting himself into the farmers’ business and flirting with any and every woman around. Just as it seems that the farmers might have come closer to resolving their differences, Kent winds up dead. Or, more specifically, murdered. The police believe that Kent was poisoned after drinking homemade punch at Nora’s stand, which makes Nora their prime suspect. Penny isn’t convinced that Nora was behind Kent’s murder. Sure Nora hated Kent, but so did most of the other farmers. Kent was a difficult man to like. Worse yet, the state of the market is in jeopardy. In light of Kent’s poisoning, the state agricultural department is already considering closing Riverdell’s farmers’ market. With Nora’s freedom and the market’s survival on the line, Penny and Sammie start sleuthing. Farm Fresh and Fatal is novelist Judy Hogan’s second Penny Weaver mystery. 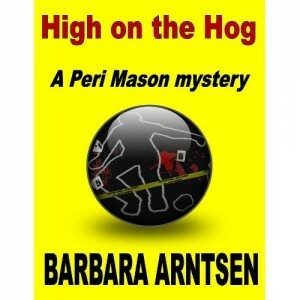 Hogan writes a lively whodunit that will leave readers guessing the identity of the murderer to the very last chapter. The farmers’ market setting is particularly apt. Hogan is also a small farmer who resides in Moncure, North Carolina. She used to participate in the Pittsboro Farmers’ Market. Here in the Triangle, farmers’ markets seem to be enjoying an uptick in popularity. There are markets in Chapel Hill, Carrboro, Durham, and Raleigh. Quite a few of the cities and towns, like Raleigh, have multiple markets. If you’re local to North Carolina, you can search the NC Farm Fresh website to find markets near your home town. 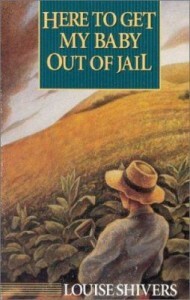 So go buy some farm fresh produce and then hunker down and tuck into Hogan’s intriguing novel. 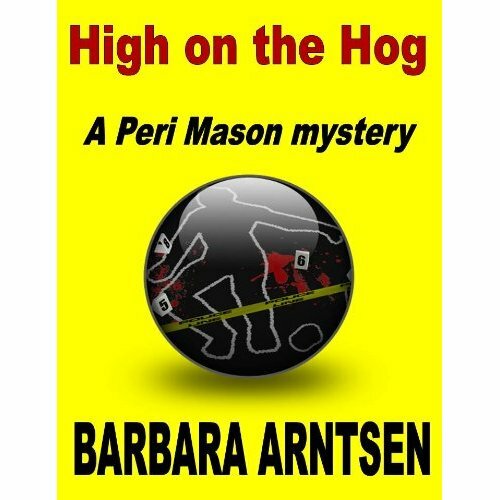 Or read about Hogan’s first Penny Weaver mystery in this blog post and learn more about Hogan herself in this article from The Daily Tar Heel. W. Ferrell. The Secrets of Sterling Shearin. Kernersville, NC: W. Ferrell, 2013. Using the device of a diary, this novel tracks the life and emotional development of Sterling Shearin, a young man living in Warren County in the early years of the American republic. Sterling has been mentored by Nathaniel Macon and through Macon meets other public figures of the period and is exposed to political ideas that shaped the philosophies of the Founding Fathers. But Sterling doesn’t just live in a world of ideas. He is a young man, trying to build up a farm, a family, and his position in his community. Not all of his impulses and actions are noble–his relationship with his wife sours even as he savors the memory of his relationship with an enslaved woman and dallies with another man’s wife. He finds his way in part by weighing his behavior against what he sees around him. The Secrets of Sterling Shearin does what historical novels are meant to do–it makes clear that this was a different time. Readers can ponder what they would have done had they lived back then. Mia Ross. Circle of Family. New York: Love Inspired, 2012. When Ridge Collins comes to Harland, North Carolina for his friend Matt’s wedding, he has no intention of staying in the sleepy little farming community. Ridge’s dramatic entrance–he lands a vintage biplane in a field on the Sawyer farm just hours before the wedding–annoys the wedding organizer, Matt’s older sister Marianne. Marianne likes everything predictable and orderly, and she is distrustful of showy men. You can’t blame her. Her ex-husband, Peter, was a good-looking wheeler-dealer who took advantage of Marianne’s trusting nature, and then dumped her when it suited him. Only through self-discipline and sacrifice, and help from her extended family, has Marianne been able to make a good life for her herself and her two children, Kyle and Emily. Circle of Family unfolds the way that readers expect a romance to proceed. Ridge stays on to help with the farm while his friend Matt is on his honeymoon. He is a genial, handy person, and members of the Sawyer clan–including Marianne’s son and daughter–take a liking to him. Marianne and Ridge spar over her suspicious, cautious nature and his vagabond ways. Yet Marianne can see the good that Ridge is doing–working in the fields, fixing equipment, coaching the peewee football team, mentoring her son–and Ridge realizes that he is falling in love Marianne and falling out of love with a life without commitments or even a permanent address. Matters come to a head when Peter, a deadbeat dad who has not seen his children in five years, shows up at the farm demanding to have regular visits with his son. Marianne fears that Peter will demand full custody of young Kyle, but Peter’s game is more complicated than it appears. To thwart Peter, Ridge makes an unexpected sacrifice that secures happiness for Marianne and the family that he hopes will soon be his.